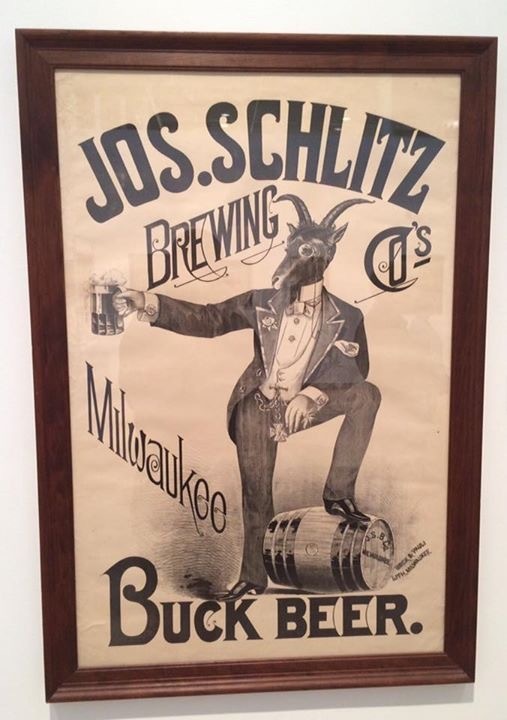 Here is an early Buck Beer style brewery poster from the Joseph Schlitz Brewing Company out of Milwaukee, Wisconsin. The Schlitz Brewery would become one of the largest breweries in the U.S., and finally started losing market share in the 1960-1970’s era. The brand has recently been resurrected. Buck Beer was a seasonal type of beer, similar to the Bock style of beers.